A Right To Information application by this newspaper to the National Land Commission (NLC) on details regarding what action has been taken in the Chang Ugyen case was rejected. 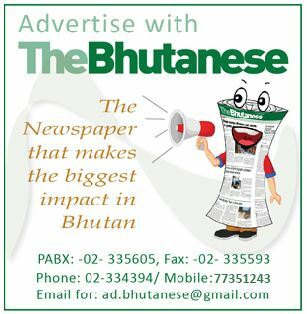 The Bhutanese put up the application as a follow up to its investigation on the Chang Ugyen land grab case. Bhutan doesn’t have a Right to Information Act, but the paper submitted the application quoting Article 7 section 3 of the Constitution which states that every Bhutanese citizen shall have the Right to Information. NLC refused to divulge any information quoting Chapter 3 (section 52 and 53) of the Land Act, 2007, clauses that pertain to the letter put up by The Bhutanese. 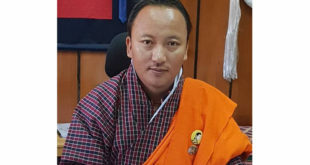 The letter said that silence by NLC may lead to public assumption that no action has been taken so far and that Chang Ugyen is being given special treatment by the NLC. 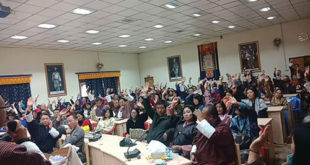 The Bhutanese raised the following queries to the NLC: the action NLC has taken to recover seven acres of government land, measures NLC will take if Chang Ugyen does not repatriate the land or the options under the law, and the time frame given to Chang Ugyen within which he has to return the seven acres of land. In a second letter (March 2, 2012), the paper also requested to the Secretary to share the High Level Committee report of 2003 since it pertains to auditing of land records. “The report being given to this paper will only clear the air and allow us to do more justice to any future stories on land auditing issue,” stated the letter. In reply to the two letters, NLC replied through facsimile on March 7, and a letter posted to the office’s address the next day. The letter written in Dzongkha clarified the Commission’s stand quoting Chapter 3, Section 52 to 55 of the Land Act. These sections of the Act talks of access to thram data and that the Commission Secretariat, and officials at gewog and dzongkhag or thromde shall have access to the central data system of thram and cadastral records. Further the sections state that the access is to be given to the thram holder or his authorized person. The Commission Secretariat shall allow the government agencies to access and use the land records for public purposes, as stated in Section 55. The letter also stated that as per the finding of the high level investigation committee, it has been found that many people in the thromde have been living on land without thrams. The Land Commission has been acting as per the recommendations of the committee. “As per the Land Act, we regret to inform that the information required cannot be given,” the letter said. Chang Ugyen, currently the vice president of ruling DPT, unlawfully converted two decimals of land into three acres and forged documents to put another seven acres in his name during his tenure as the Chang Gup. 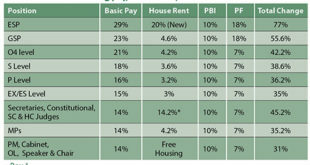 In 2003, a high level committee was formed to study the illegal land transaction of government land. All others involved in the sale of government land replaced the land except for Chang Ugyen. A case was filed at the district court. Dissatisfied, Chang Ugyen filed a civil litigation in the High Court. As per the judgment of the High Court in 2008, Chang Ugyen could not be criminally prosecuted as he had filed a civil case. The Office of the Attorney General (OAG) and the National Land Commission were supposed to enforce the judgment. The OAG clarified through a press release that they neither received the report of the Committee formally nor did it receive any instructions from the government to initiate any criminal prosecution against any individual in regard to the numerous irregular cases that were resolved on the recommendation of the committee. The Attorney General also said that they had submitted the judgment report to NLC and wrote another letter to them after ten days of petition period was over asking them to enforce the judgment.